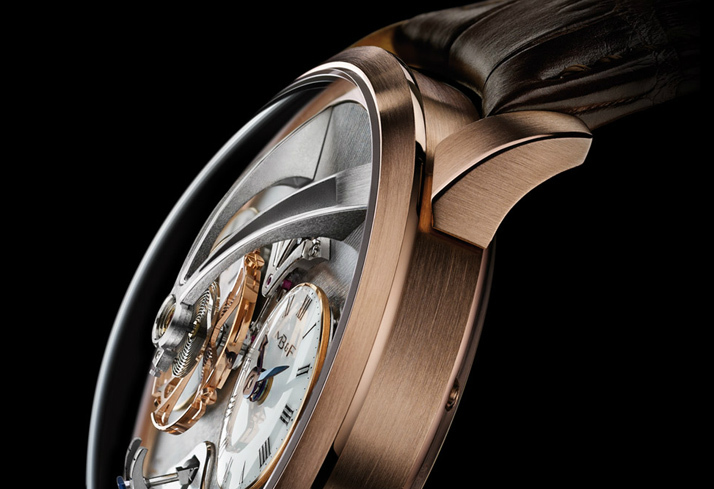 Wild, extreme, outrageous describes MB&F's futuristic Horological Machines. 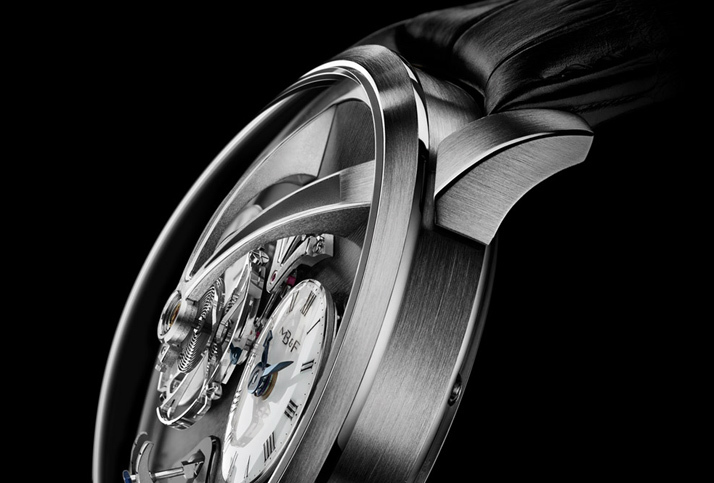 With its monumental central balance; superlatively finished movement; completely independent dual time zones; unique vertical power reserve indicator and elegant annular case, Legacy Machine N°1 (LM1) is a tribute to the great innovators of traditional watchmaking; and above all, an authentic three-dimensional MB&F Machine. Legacy Machine N°1 was conceived when Maximilian Büsser started fantasising: "What would have happened if I had been born in 1867 instead of 1967? 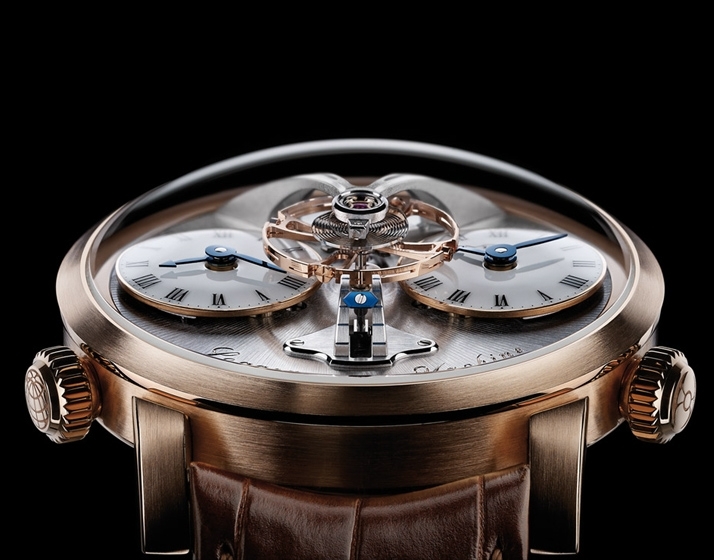 In the early 1900s the first wristwatches appear and I would want to create three-dimensional machines for the wrist, but there are no Grendizers, Star Wars or fighter jets for my inspiration. 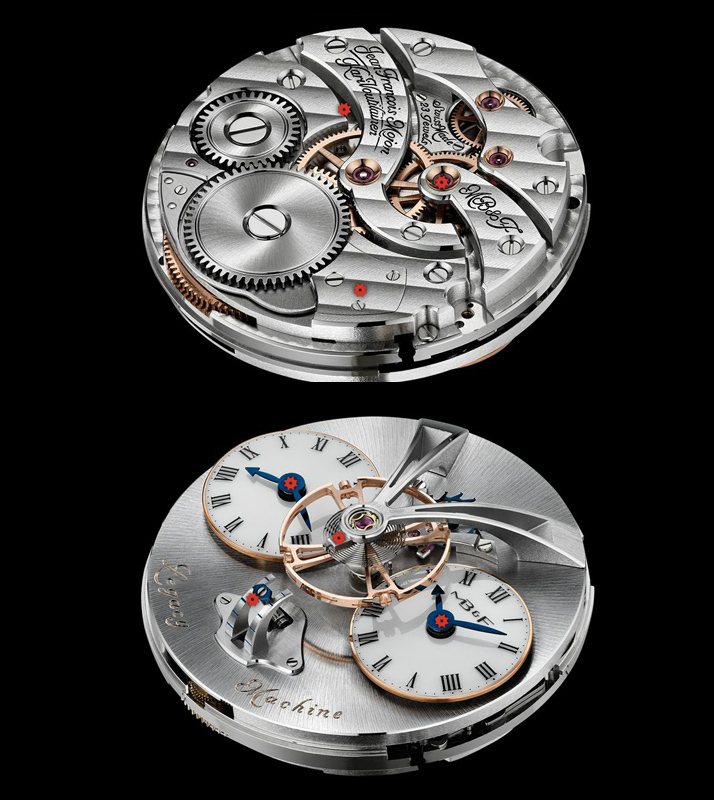 But I do have pocket watches, the Eiffel Tower and Jules Verne, so what might my 1911 machine look like? 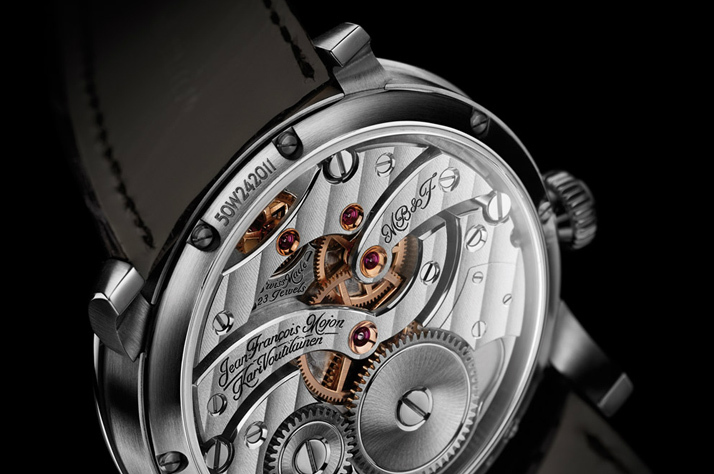 It has to be round and it has to be three-dimensional: Legacy Machine N°1 was my answer." Gazing down through Legacy Machine N°1's crystal clear bubble sapphire dome to the micro-mechanical fantasy below, it's easy to imagine Jules Verne’s Captain Nemo looking upon the mythical underwater city of Atlantis. 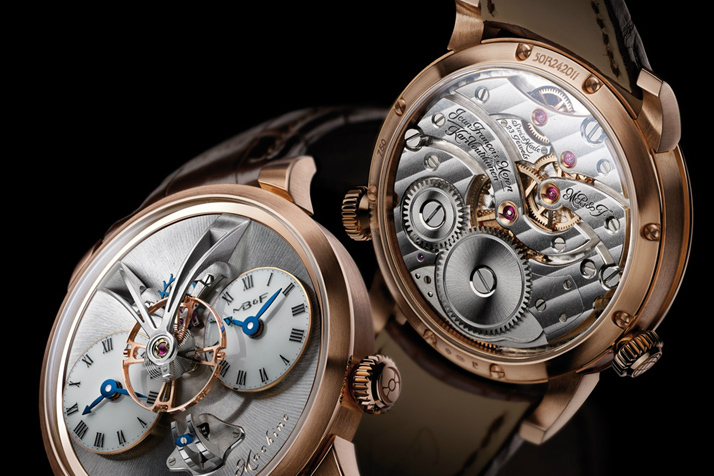 Legacy Machine N°1's transcendental in-house movement bears testimony to the enormous talent of its creators. 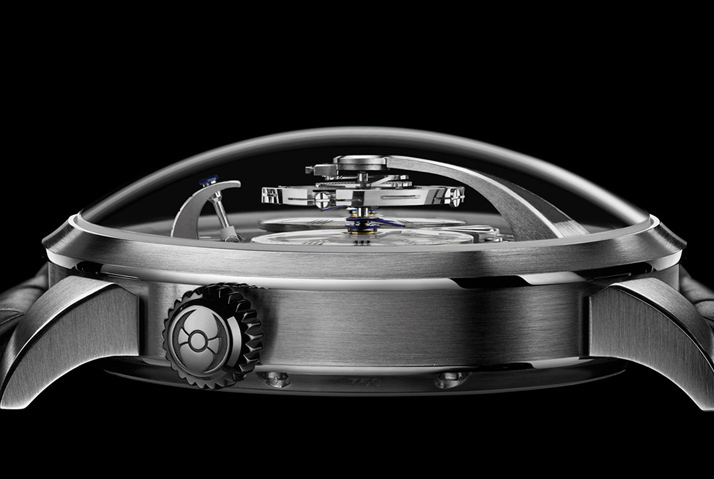 Jean-François Mojon and his team at Chronode (Best Watchmaker Prize at the 2010 Grand Prix d’Horlogerie de Genève) met the considerable challenge of developing the calibre for LM1 from a blank sheet, while acclaimed independent watchmaker Kari Voutilainen took responsibility for the aesthetic design and for strictly ensuring the utmost respect for tradition and fine-finishing. 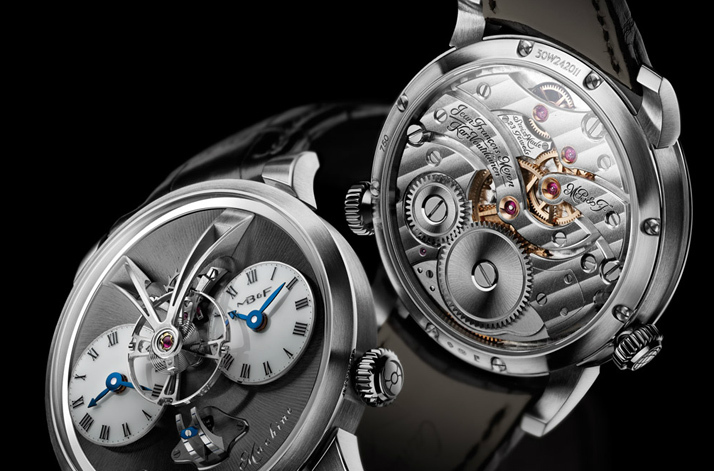 The movement of Legacy Machine N°1 proudly bears the names of both its creators, and is the first calibre other than Voutilainen's own to bear his name. 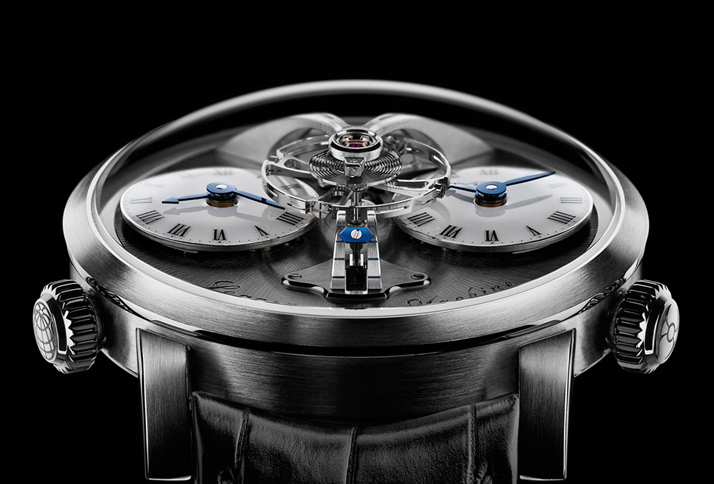 With Legacy Machine N°1, MB&F has majestically reinterpreted traditional 19th century watchmaking excellence to create a contemporary, three-dimensional objet d'art.